The exchanging of gifts between the bride and groom has been around forever. Whether it be a simple love note or a grand gesture, either one is greatly appreciated. We stumbled across Something Blue, and they print up these super cute Groom's Survival Kit cards. Each card is printed on white linen paper, backed with a thin layer of gold shimmer paper and then mounted on black linen card stock. 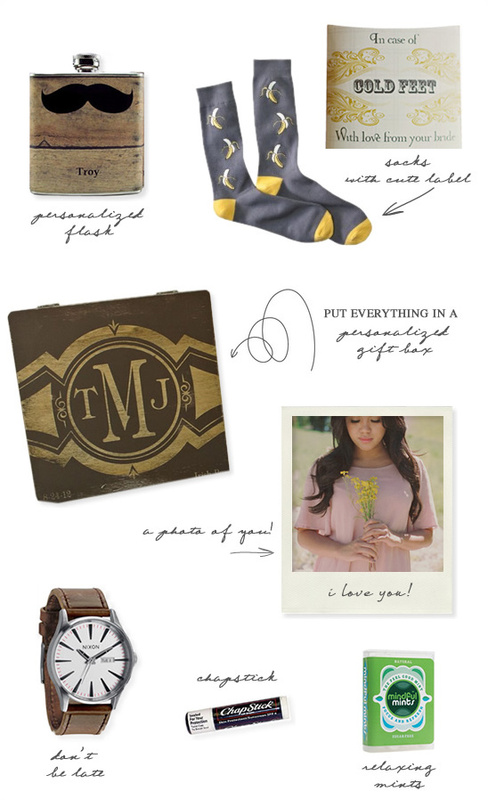 You pick the items in your Groom's kit and voila you have the perfect fancy addition to your Groom's pre-wedding gift. 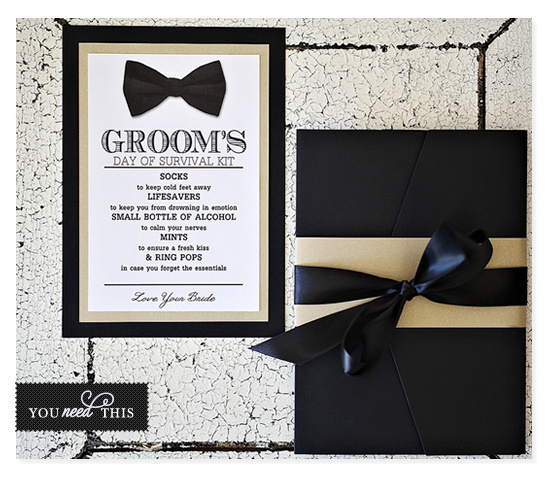 We rounded up our favorite Groom's Day Of Survival Kit items that we know your Groom will love.